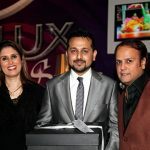 The much awaited Winners for the 8th Annual LUX Style Awards were announced here by the Awards office in Karachi. 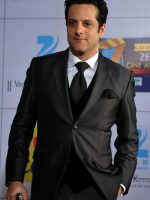 Winners were announced for three Film categories for Film of the Year, Best Film Actor and Best Film Actress. Ramchand Pakistani won “Film of the Year”- a true story, reflecting the sensitive relation between India and Pakistan after independence, depicting the war-like tension between the two sub continental powers. 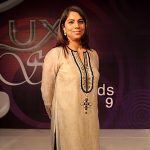 Director Mehreen Jabbar has taken a huge step at focusing on underlying issues which play a realistic role in our day to day lives. 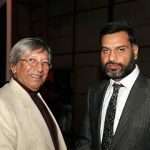 Produced by the very experienced Javed Jabbar, Ramchand has won critical acclaim internationally and the Pakistani voting public chose it above all films this year. Out of 55,976 votes for the Film category, Ramchand Pakistani got 22,680 votes. 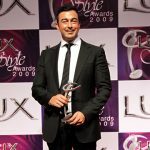 No surprises in recognising the Best Film Actor - Shaan Shahid has previously won 4 LSA Best Actor Awards and this year it’s his 3rd consecutive win - this time for Zille Shah. Shot aesthetically, by actor/director Shaan himself, the film - a story of love - instantly generated box office heat. 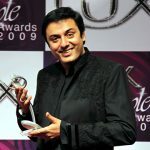 Out of 39,571 votes for the Best Film Actor category, Shaan got 27,597 votes. 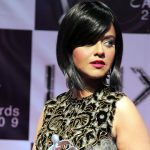 Maria Wasti takes away her 2nd win at the LUX Style Awards – her being for a television serial. Playing a female warden to the seven year old boy (Ramchand), Maria’s role of a custodian in an Indian jail is authentic and compelling and her work in the movie has been critically acclaimed, giving her the coveted title of Best Film Actress. Out of 39,337 votes for the Best Film Actress category, Maria got 23,309 votes. LSA divides its television channels into terrestrial and satellite so that each is voted for on merit. 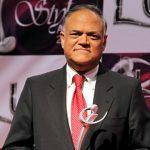 Winners were announced for eight categories namely Best TV Serial (satellite), Best TV Director (satellite), Best TV Actor (satellite), Best TV Actress (satellite), Best TV Serial (terrestrial), Best TV Director (terrestrial), Best TV Actor (terrestrial) and Best TV Actress (terrestrial). 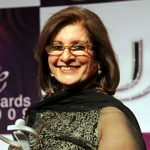 Khamoshiyan, produced by Momina Duraid of Hum TV, won the award for the Best TV Serial (satellite) this year. Momina’s work speaks for itself and is appreciated by the Pakistani audience as well as critics. 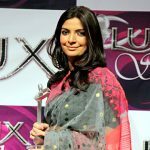 Her previous TV Serials, “Mere Paas Paas”, “Man O Salwa”, “Kuch Dil Ne Kaha”- all have been nominated in the LUX Style Awards and in fact last year Man o Salwa won the title of the Best TV Serial. No surprise then that this year’s win also has Momina Duraid play in the lead. Out of 42,833 votes for the Best TV Serial (satellite), Khamoshiyan won 17,904 votes. 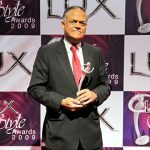 In fact, for the first time ever one satellite channel swept the LUX Style Awards winning for Best Serial, Best Director, Best Actor and Best Actress. Another win was for the well deserving Babar Jawaid. 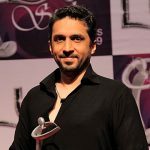 Babar has definitely proved his work over the years with his dedication and commitment in making quality dramas, acclaimed by critics and audience. 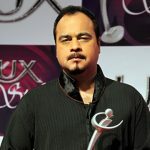 His work being previously nominated at the LSA and has also been successful in winning and just last year, his direction of “Man o Salwa” won the Best TV Serial (satellite).This year, Babar was nominated for 3 different TV serials in the same category- Jhumka Jan, Mannay Na Ye Dil and Khamoshiyan. 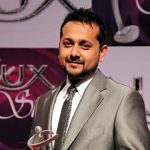 A definite win as the Best TV Director (satellite) for Jhumka Jan.
Noman Ijaz takes his 4th win at the LUX Style Awards, this year winning as the Best TV Actor (satellite) for Khamoshiyan. 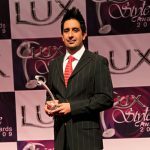 Despite competition from Faisal Rehman, Faisal Qureishi, Asif Reza Mir and Asfar Rehman, Noman makes it to the top again. No doubt, his hard work and love from his fans makes his efforts worthwhile. Out of 46,377 votes for the category, Noman Ijaz swooped 20,061 votes for himself. 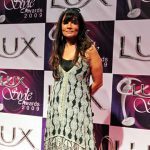 Sania Saeed taking 12,311 votes out of 44,092 votes for the category of Best TV Actress (satellite) takes away an award for the 2nd time at LUX Style Awards. 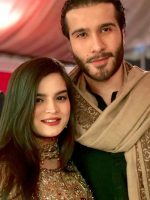 If Babar’s direction of Jhumka Jan was exemplary then Sania’s portrayal has proved her versatility and she has well deservingly claimed the title. 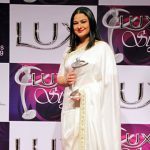 Thora Sa Aasman, produced by Kazim Pasha, won an award for the Best TV Serial (terrestrial) this year at the LUX Style Awards. The serial is a saga of social status which depicts how moving into the elite class can make you a part of the social gatherings around you that consist of selfishness, property and riches. 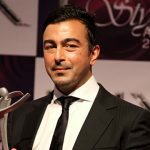 Kazim Pasha’s hard work proved on the screen as his serial swooped away 19,442 votes out of 40,171 votes for the Best TV Serial (terrestrial). 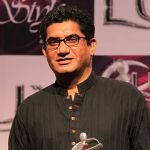 Shah Bilal’s latest production play, Nautankee, is a unique musical - the first of its kind production in Pakistan - illustrates three classic love tales of the Sub-continent namely; Heer Ranjha, Sassi Panu and Sohni Mahiwal; depicting a fictitious canvas of theatre and music. 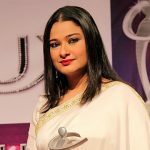 Nautankee takes entertainment quality on a whole new level, giving Shah Bilal an award as the Best TV Director (terrestrial). Talat Hussain has evolved into a renowned actor and is known to every Pakistani as well as internationally. 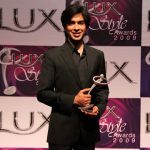 Previously nominated in the LUX Style Awards and already having won once, this year it’s his 2nd win for his work in “Kabhi Aye Na Judai”. 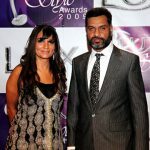 Despite very close competition from Noman Ijaz, Talat Hussain won 1335 votes more to bag the title of Best Actor. 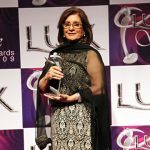 Referred to as the “Queen of Lollywood” to the public audience, Saima has won her 2nd award at the LUX Style Awards (her first was for the film Majajan). Her role as Heer in the musical serial, Nautankee, depicts a whole new level of theatre entertainment is quite a first in the industry. 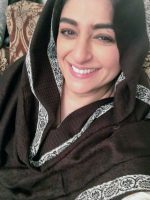 With a majority of 15,092 votes, Saima takes away the title. Four winners of the Music category were announced for Best Music Album, Best Music Director, Song of the Year and Best Music Video Director. 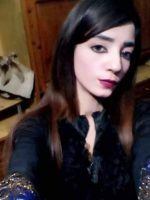 The recent hit Qismat Apnay Haath Main, generating a lot of hype, has truly inspired everyone instilling patriotism in a sensitive and crucial time of today. Shehzad Roy has done a perfect illustration on the way the nation is run, in a rather surreal manner, with his usual manner of song; lots of jovial guitar riffs running around coupled with bhangra-esque percussion. Despite close competition from Shaqfat Amanat Ali’s album “Tabeer”, Shehzad managed to win 805 votes more in the Best Music Album category. 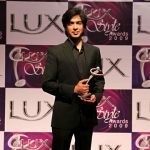 Ahsan Rahim, a frequent nominator in the LUX Style Awards and already winning once in 2002, wins for the 2nd time this year as the Best Music Video Director for Laga Reh by Shehzad Roy. His video direction proves to be an eye-opener for all that touches upon the most sensitive issues prevailing in Pakistan. The direction is straightforward, illustrating the most serious ideas in a humorous way and Ahsan’s effort and hard work has definitely been acknowledged and liked by all. With a majority of 17,218 votes Ahsan Rahim’s hard work landed him his 2nd LSA. 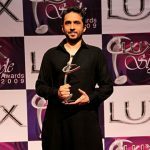 A tough call for the Song of the Year award since there was intense competition between two favourites - one being Laga Reh by Shehzad Roy and the other being Khwabon Ke Rishtay by Najam Sheraz. 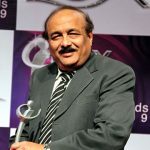 With only a difference of 288 votes, the Song of the Year goes to Khwabon Ke Rishtay by Najam Sheraz. 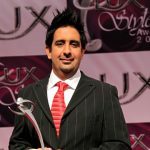 Najam was previously nominated under the Best Music Album category in 2004 and it’s his 1st win at the LUX Style Awards. This artist is clearly one of the most prolific musicians of time and has proven to be a versatile singer, with his powerful compositions that depict a fusion of different music genres. 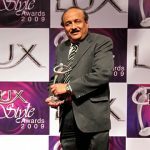 The Best Music Director is an award that was initiated at the LUX Style Awards this year in 2009 and the first winners for this important category are Rohail Hayatt and Faisal Rafi, for the album “Charkha” by Rahat Fateh Ali Khan. Charkha is more than just album; it is a labor of love for all Nusrat Fateh Ali Khan fans and is an effort involved in carrying on his legacy. Both directors with their utmost dedication to Sufi music and “Qawwalis” went into full throttle working with Rahat. A brilliant showcase that is definitely worthy of a well deserved award. Nominations were announced for the 9 Fashion categories of Model of the Year (Male and Female), Best Emerging Talent - that evaluates the work in the field of fashion of new entrants who have been working since the past three years - Best Fashion Photographer, Best Hair and Make up Artist, Best Couture Designer, Best Prêt wear Designer, Best Menswear Designer and Best Retail Brand. 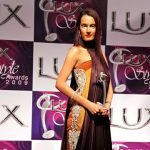 Previously nominated for the same category in 2006, Nadia Hussain has won her 1st win as the Female Model of the Year 2009. The category is one of the most evolved and dynamic field in fashion with new entrants and new challengers edging out the old guard completely. Despite this, Nadia Hussain with her perfect poise and commanding catwalk presence is a stunning model to whom everything comes naturally. This year working with Rizwan-ul-Haq’s Light & Shade and Midas, her shoots ooze glamour and an exquisite sense of beauty and style. 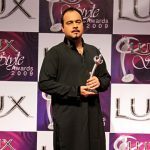 Having 6 nominations at the LUX Style Awards and winning twice, Ameer Zeb Khan takes away his 3rd consecutive win this year as the Male Model of the Year. A face that without a doubt is not new to the glamorous world of fashion and glitz, Ameer is definitely a cut above all. And, despite competition from Abdullah Khan, Iffi, Arsalan and Rizwan Ali, Ameer managed to sweep right through maintaining his lead as the male face of the year. 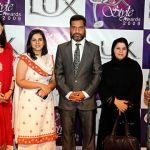 The Best Emerging Talent category was the most closely contested with the jury heatedly debating the merit and impact on local industry of many new photographers, models and designers that posed well for the future of Pakistan’s fashion industry. 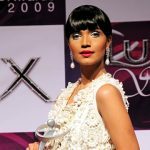 Aamina Sheikh, modelling for only some time now, is on the radar as one of Pakistan’s next top models. 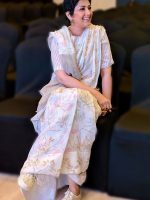 Having done some trendy campaigns with Men's Store and Limited Edition and Clear Shampoo, she just recently made her runway debut at Rehana Saigol's fashion show. She has done incredibly well as a new comer into the industry. 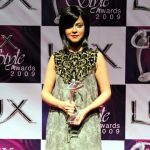 Her strong features and ability to breathe life into a still photo makes her a winner of the LUX Style Awards ’09 in the Best Emerging Talent category. 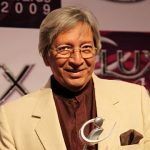 Fashion stylist Khawar Riaz having secured many national and international awards as a photographer and a hair & makeup artist, he is not unknown to the industry. 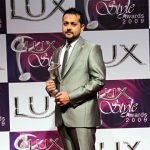 With wins in both categories in previous years at the LUX Style Awards, this year Khawar grabs the title for the Best Fashion Photographer and takes away his 3rd LSA home. 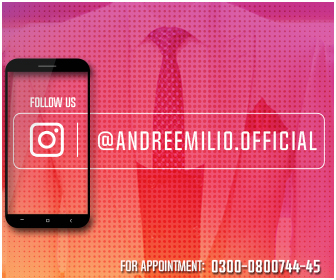 Khawar being one of the oldest stylists is blessed with an ability to change the looks of a person through the magical art of photography. 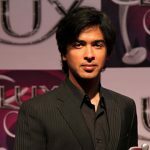 By boosting his shining concepts and hard work, Khawar can definitely prove to enhance and shape the fashion glitz and glamour of Pakistan in a whole different direction. 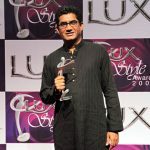 A 1st time nominator for the LUX Style Awards in the category of Best Hair and Makeup Artist, Akef IIlyas has definitely surprised everyone with his dedication and hard work and without a beat taken the award away - despite strong well known competitors like Khawar Riaz, Tariq Amin, Guddu Shani and Munazza Rizwan. 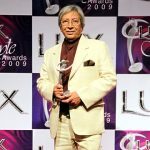 Akef’s career motivated by acceptance, variety and the world of beauty has eagerly strengthened his vision making him one of the most aspirational make up artists of Pakistan today. His latest portfolio is bold, dramatic and fresh, illustrating a unique sense of style. Sana & Safinaz is a brand which needs no introduction; the name has carved a niche for itself in the fashion industry and their clothes are breathtaking, gorgeous and vivacious, making their brand all about attitude and expression. 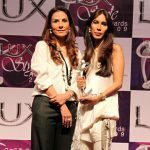 Being a nominee every year for the LUX Style Awards, with their 8th nomination this year, Sana Safinaz edged out their competition to win for Achievement in Fashion Design - Couture. In their portfolios they have always managed to combine the traditional with the modern and long been the most coveted for bridal designs. Their recent foray into prêt this year and their presence on the Ensemble ramp made them the clear cut winners. Their collection includes bridal, formal, evening and lawn prints for summer and each type of clothing line embodies the best of Pakistan in fashion and style. Iman Ahmed, another yet innovative and refreshing fashion artist in the industry, is gifted as one of the most creative designers, as depicted in her unique work. Having her third consecutive nomination for the category of Achievement in Fashion Design - Prêt, Iman takes home her 1st LSA this year. Her collections from the Body Focus Museum are of exclusive printed screens which bring out a lot of different cultures through the use of vibrant colors and unique sense of style and glamour and are exhilarating for buyers. 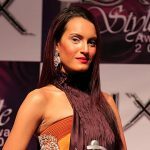 Iman definitely brings about a refreshing style to the Pakistani Fashion industry. Ismail Farid, a name that creates a fusion of contemporary and chic bringing a fresh and innovative outlook to menswear in Pakistan. Catering to all age groups, Ismail provides a modern stance and blends both eastern and western attire for the Pakistani audience. 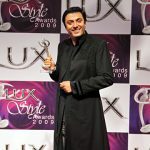 The dynamic designer took a place in the LUX Style Awards 2007 for a nomination of Emerging Talent and was also was a nominee for the next two years as the Best Menswear Designer. This year Ismail with his innovative designs and strong signature style won the Best Menswear Designer award. Being consecutively nominated for the last two years, the brand Generation has again found its third nomination this years LSA, and with the brand becoming a favourite among the audience, wins the award for being the Best Retail Brand of the Year. 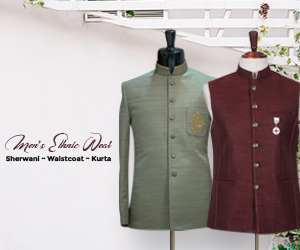 With a mix of both, eastern and western wear; it offers a comfortable range of sophisticated, traditional yet modern outlook of clothes. 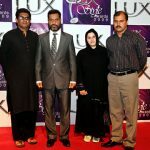 The lucky draw winner for LUX Black promotion Zulfiqar Ali Memon from Ranipur was also there to attend this event.